If you are hell bent on finding some of the best bars in New York City, you won’t have to move around too much. 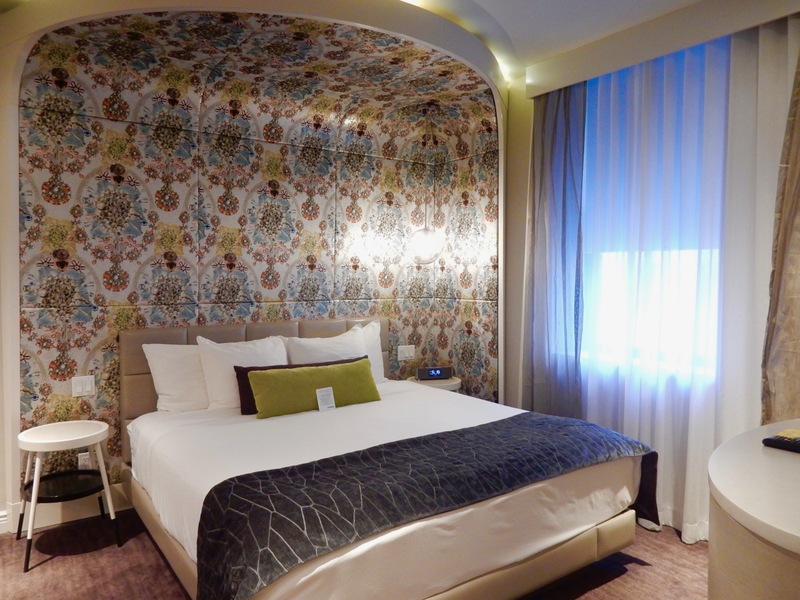 Three are all in one place – a place you won’t even have to leave after you’ve imbibed a bit: the newly renovated Dream Midtown NYC. 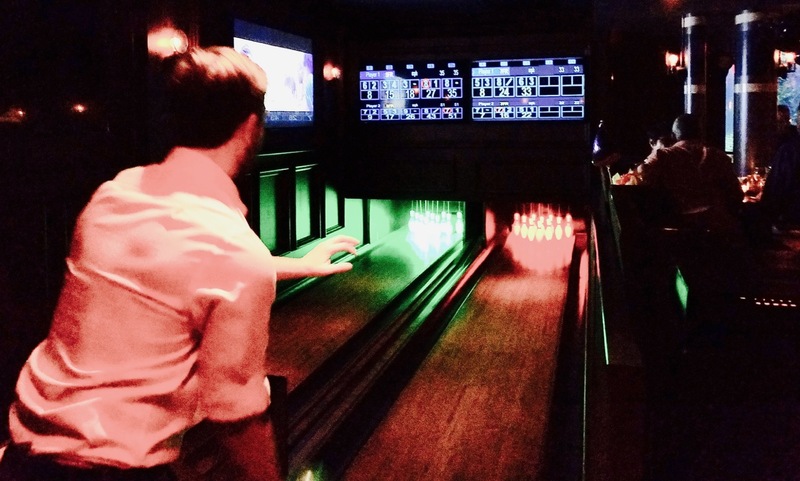 Choose between a classic watering hole (The Rickey), one of the largest rooftop bars in Manhattan (PHD Terrace) and a retro game room with free bowling and Skee Ball in a dark basement infused with azure light from a floor to ceiling cylindrical fish tank (FishBowl). If you count the bar at connected restaurant, Serafina Broadway, with a private entrance from the Dream Midtown lobby, there are actually four fantastic cocktail lounges within steps or an elevator ride of each other. 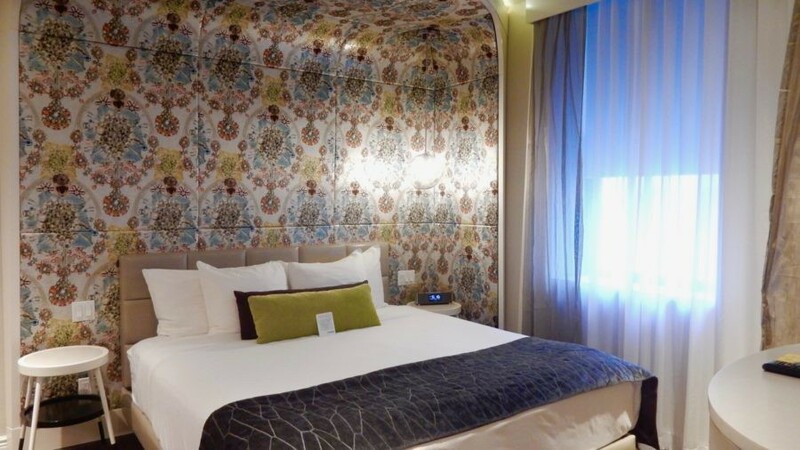 The first of what was to be many Dream Hotels to come, this one, on 55th and Broadway in Manhattan, opened in 2003 “to provide a richer, bolder, and more vibrant experience” to midtown Manhattan travelers. 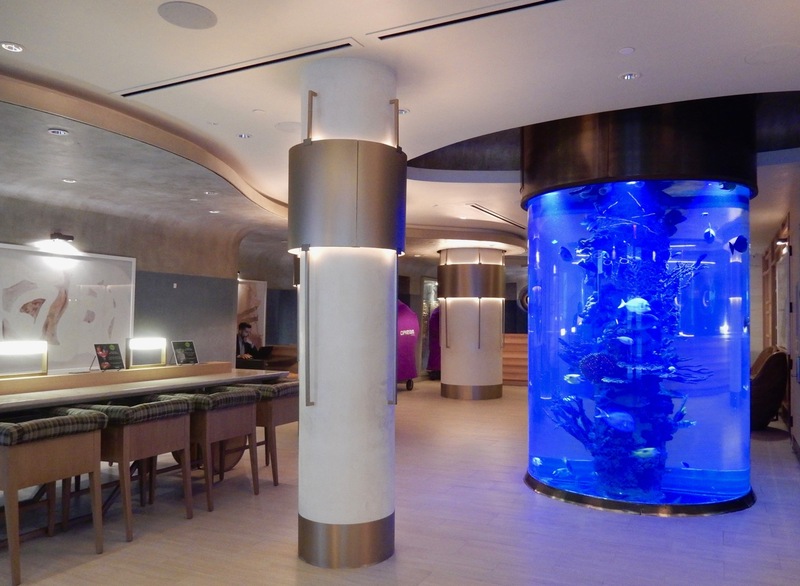 To that end, Dream Midtown installed a massive salt-water fish tank- a statement pillar front and center in the lobby – which became the hotel’s drawing card. 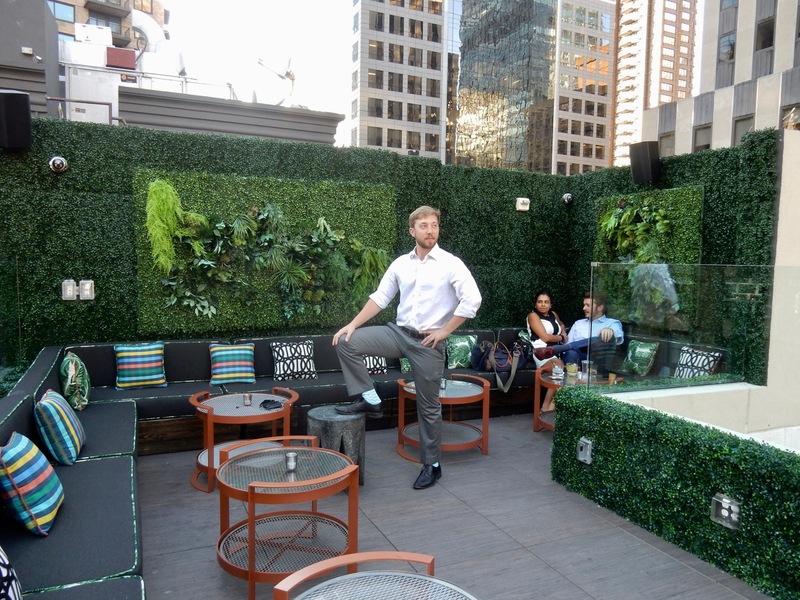 It’s the only thing that has survived a recent multi-million dollar renovation that otherwise brightened up the lobby and rooms, added a basement tavern, and expanded the rooftop bar. For those who have been here before, the difference is striking. Gone is the black marble floor and the wood paneled walls in the dark, atmospheric lobby. 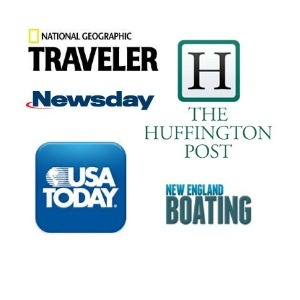 Now, it’s all off whites and golds, with of course, “Dream Purple” for punch. Reception staff is unpretentious, friendly, and on the ball. 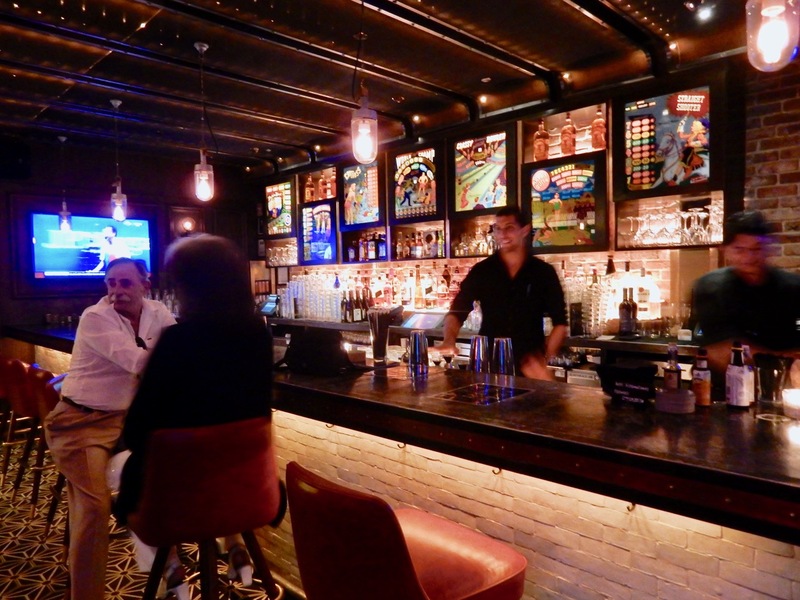 You’ll find out in quick order about all three bars and the Dream Midtown’s in-house restaurant, Serafina, and dispatched, post haste, to your newly styled room. 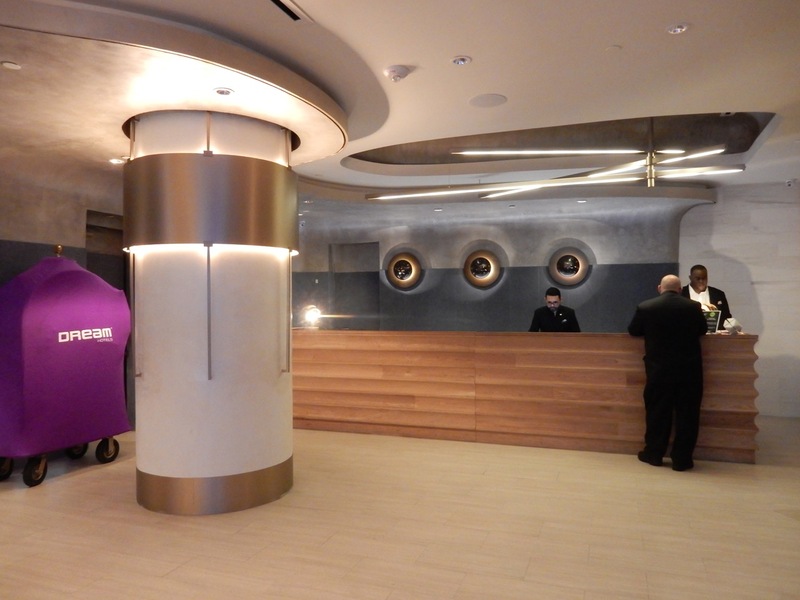 All 211 redone rooms and suites are now blazing white-royal purple Holly Golightly- chic. The legendary Audrey Hepburn in Breakfast at Tiffany would feel right at home here. Room 1012, a corner Platinum Suite – is a contemporary minimalistic fantasia of violets on snow, a color palette broken only by a charcoal throw at the base of the bed, plum and chartreuse accent pillows and a Charles Burchfield-like muted-mod bauble-flower print on the cushy textural wall that curves behind and up over the bed, like a rotund canopy. A large floor lamp with amethyst hued pillbox shade arches over a small white desk. 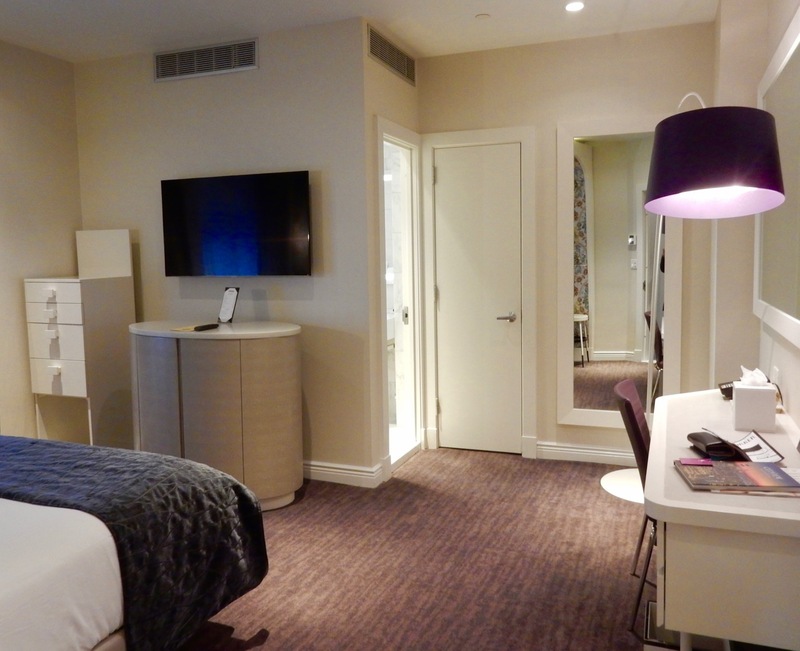 There’s a narrow rectangular white laminate stand of drawers, round bedside tables and lots of mirrors. 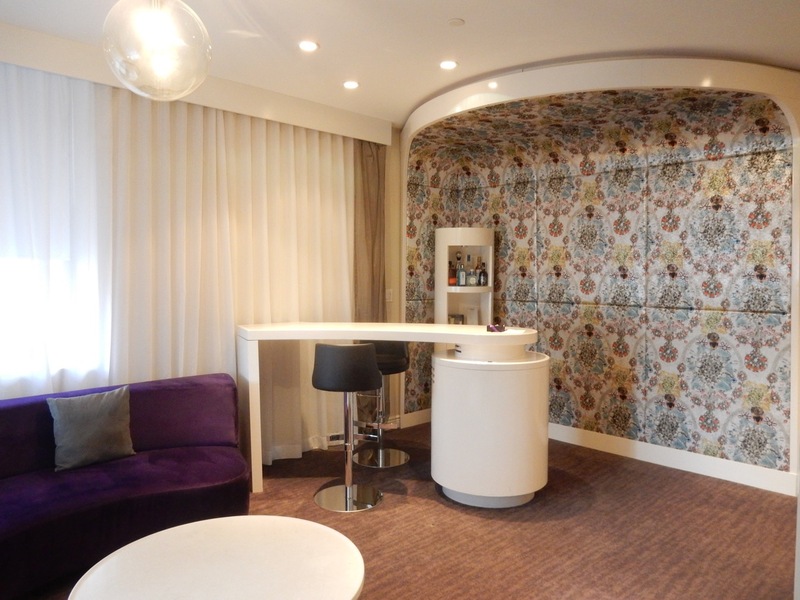 The living room, overlooking Broadway, contains a semicircular expanse of royal purple couch and a white laminate bar (backed with that same Burchfieldesque print wall) ready for entertaining, with bottles of premium spirits on shelves behind it for purchase (i.e. $50 for medium bottle of Grey Goose Vodka). 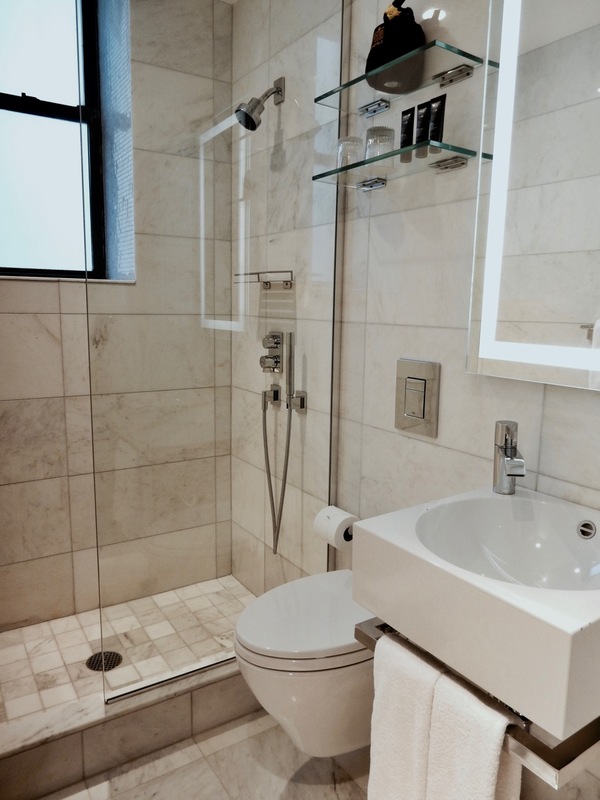 Bathrooms, though small, are Carrera marble posh, with glass showers and Euro-style fixtures. Dream Midtown sure doesn’t stint on drama. 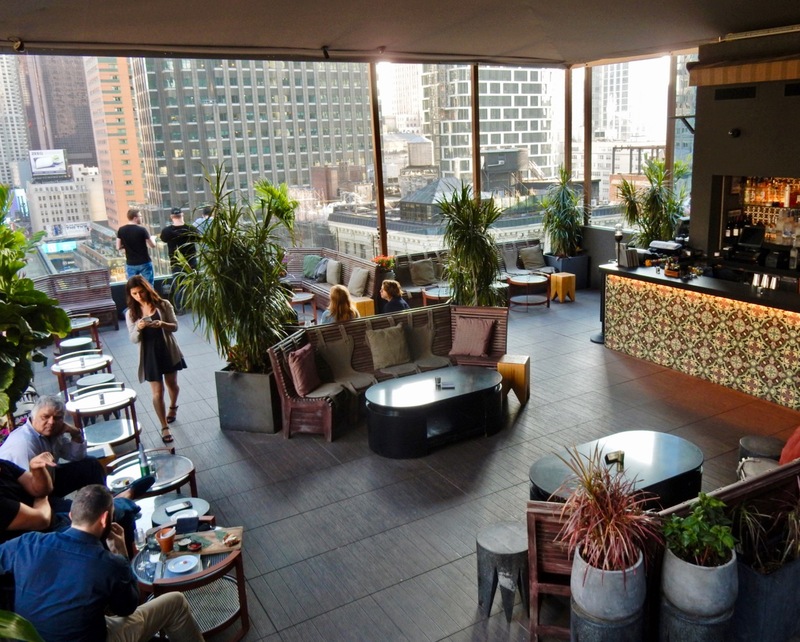 PHD Terrace: You can gaze down at Stephen Colbert’s Late Night Theater from PHD Terrace – Dream Midtown’s newly expanded triple-decker rooftop bar. 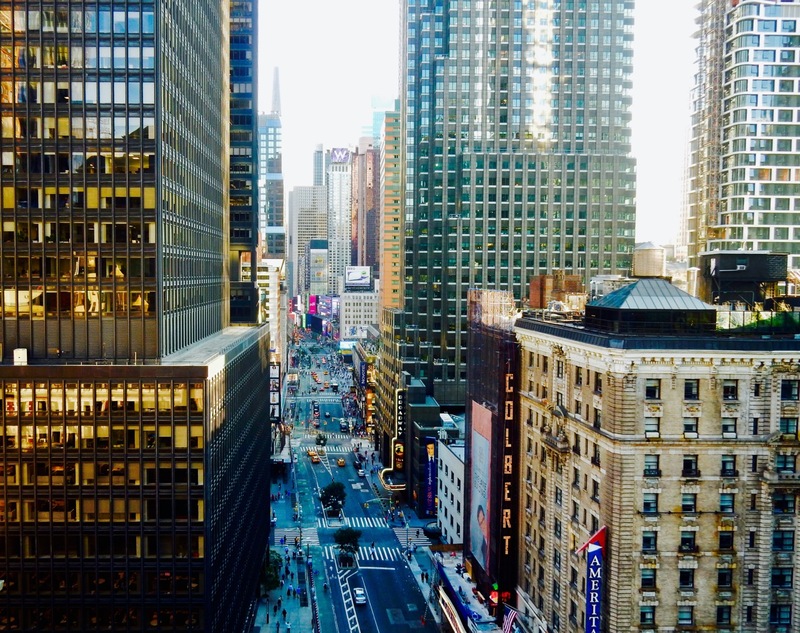 There’s a boffo view of tops of NYC buildings, canyons below, and floral specimens both potted and on living walls around every corner. 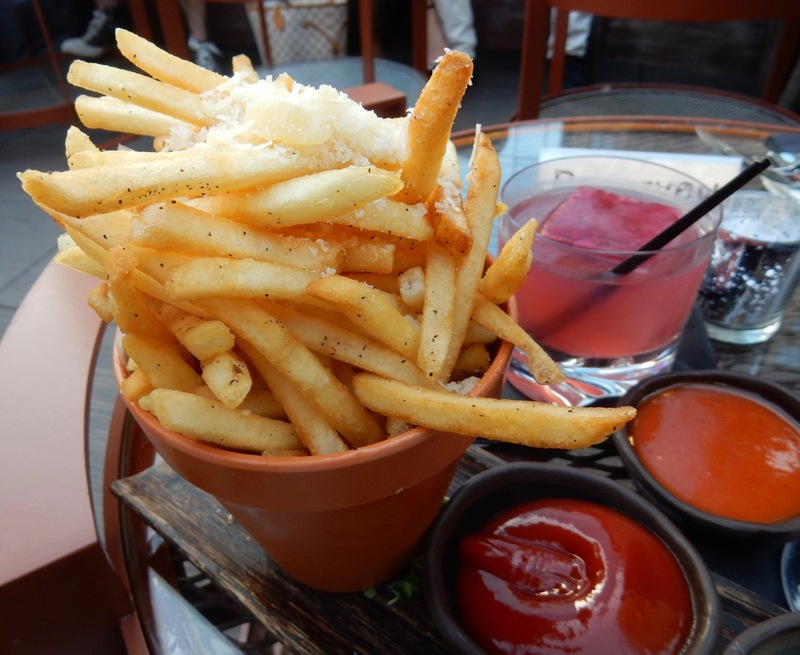 Service is terrific; craft cocktails inventive; and small bites – like the Truffle Fries – are definitely worth ordering. When it’s raining, PHD’s lower level affords views with a roof over your head, and part of it is enclosed when the snow starts to set in. With over 6,000 sq ft of space, and lots of nooks and crannies to choose from, the mood atop Dream Midtown ranges from corner cozy romantic to high-spirited group mingling; with one of the greatest shows on earth unfolding all around. Fishbowl: Meanwhile, below ground, down a spiral staircase, get a gander of the bottom of the lobby’s fish tank at Fishbowl, with a completely different vibe. Knock back some brews in a space that resembles the inside of a pinball machine, though with colorful fish swimming around. Remember those days when you had to leave the house to play arcade games with friends? Fishbowl brings that back, with Skee Ball, 2-lane bowling, and 80’s video-game cocktail tables – all complimentary to play. The Rickey: Just off the lobby, The Rickey is your standard, classic bar; low lit, in masculine grays and black, tufted leather bar chairs; a place to meditate on your Gin and Tonic. 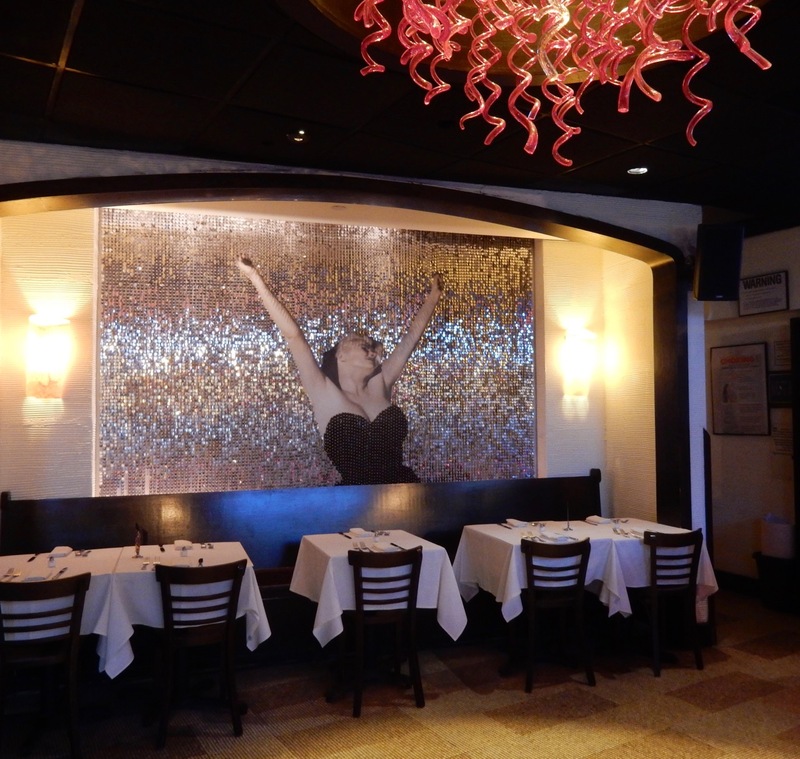 Serafina Broadway Restaurant: There are Serafina’s the world over, from L.A. to New York, Dubai to Japan, India to Turkey. 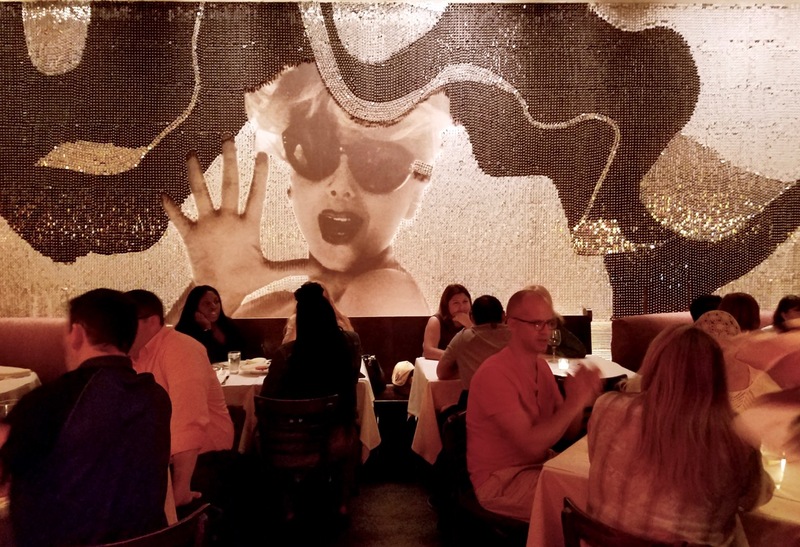 But this one, attached to Dream Midtown and stylized by David Rockwell, has got to be the most glittery: a Fellini-cinema spectacle of metallic mosaic murals. Though very good fish, chicken, and beef dishes are on the menu, devotees of Serafina’s pizza will want to go for the pies. But when I dine there, it’s always a homemade al dente pasta dish for me; either the Rigatoni Bolognese ($19.90), or the heart-shaped lobster ravioli in lobster bisque sauce ($25). So tough to decide as both are downright excellent. Rooms from $170, Suites from $390 offseason include wi-fi. Some packages include breakfast at Serafina.